They are the hard-working dancers that are in and out of school five days of the week till almost eight at night. They are all high schoolers that relentlessly practice. They are here for the football and basketball games. They slay the competition. 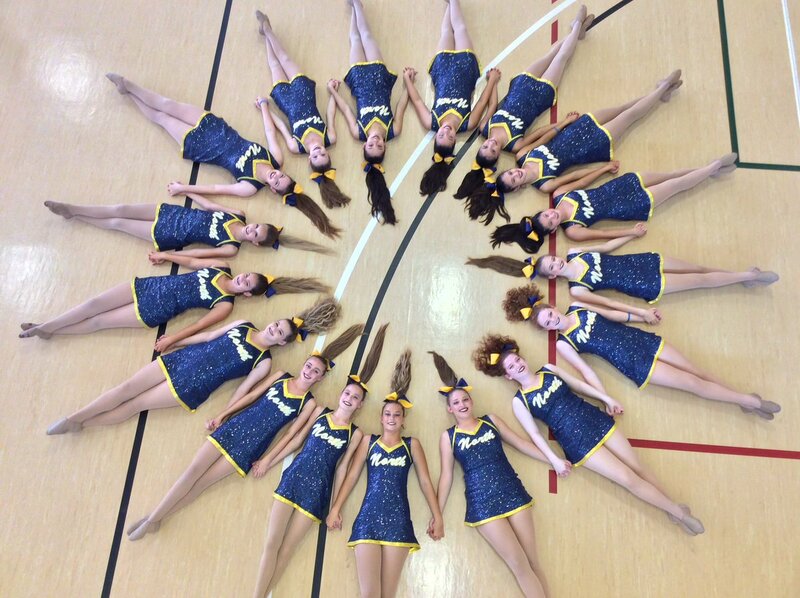 They are the Liberty North High School Golden Girls. “I have done dancing for 15 years and have done Golden Girls all four years, I didn’t even want to try out for dance. I was originally going to try out for the golf team but my mom had told me entirely about Golden Girls so I had tried out and made it,” senior Courtney Rowe said. Dance helps girls mentally a lot and it was people have different opinions on thinking of dance is an art it was a thinking decision that we still don’t know. There are girls from all different grades in Golden Girls and they have worked hard to make it to where they are today. “Dance helps me mentally because when I dance it makes me stop thinking about school work, drama, and all my problems go away while I am dancing. I have done dancing for five years but have done it competitively for 6 years, I am only a freshman and it was scary trying out but I’m happy I made it,” freshman Tyci O’Quinn said. Golden Girls is always changing and improving and add that Golden Girls is challenging. “I have done dancing pretty much all my life, but I have been on Golden Girls for three years and I am only a junior. I think our team needs improvement but since Golden Girls is a new team but I know that they will improve when time goes on, we just need some improvement I have suggested things but they don’t really take anything. Golden Girls is challenging because we work right after school five days a week and I say it’s challenging because we have to learn new moves every year and if we can’t improve then we can get kicked out which is scary but we know we can try and improve one step at a time,” junior Kaylin Robinson said. The Golden Girls will work for their best of the five days of the week and will always be a family if even they split apart and go on with their life. They might have their own opinions of the dancing team and making it better but they will always be the family of the Golden Girls. “I am doing my best and improving as time goes on, even though I am only a freshman I know I can do my best and see how golden girls changes and who comes onto the team as years go by. I love my family and I know we can do it as a team as long as we all work together,” O’Quinn said.